Random musings from a random guy…. Ever since I started this stupid blog, I see the world through a new lens. It’s the lens that causes me to see something in my daily life and think, “Whoa, there’s a blog in them thar hills!” I usually take a picture of whatever it is, cogitate on it for a few days/weeks/months, then write a breathtakingly brilliant analysis of it. I had one of those experiences recently, but the analysis is simple and came quickly. Here’s the context. 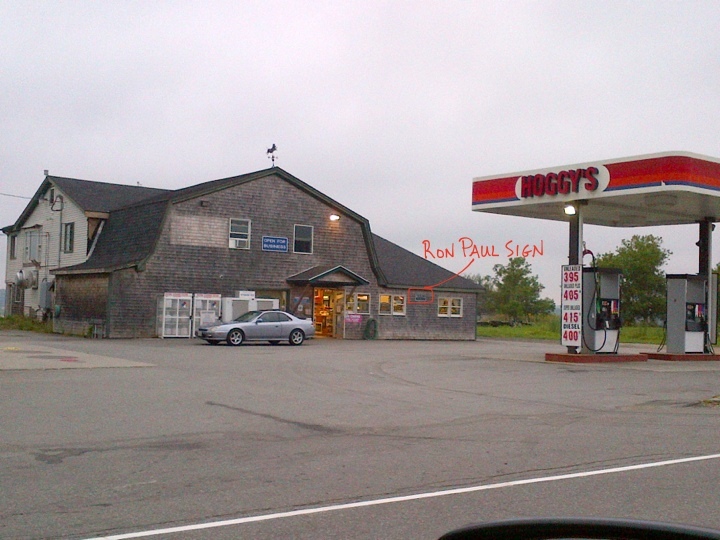 I stopped at a gas station/convenience store called Hoggy’s in very rural Maine. From this angle, you can just barely see it, but there’s a Ron Paul for President sign on the front of the store. This is clearly not a coincidence. 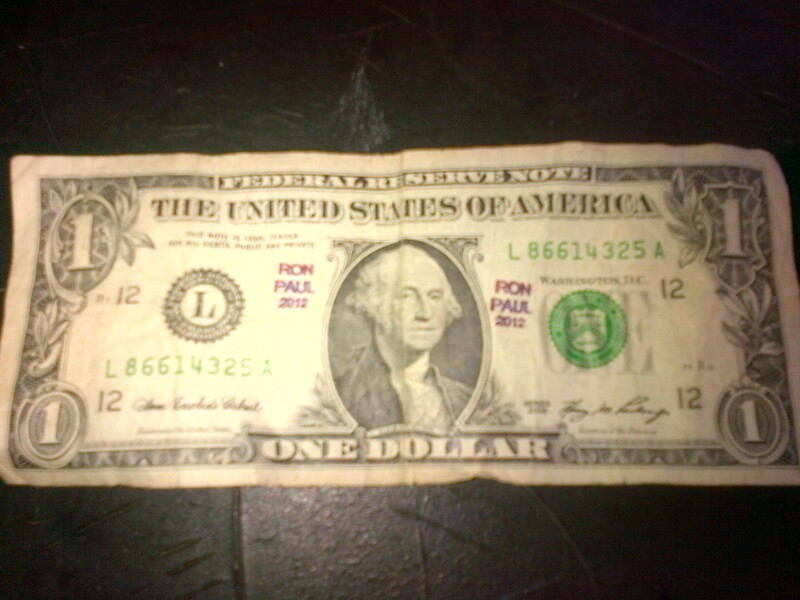 The good folks at Hoggy’s are carefully stamping every dollar bill they get with “Ron Paul 2012” and sending them back out into the world. OK, so what to make of this Ron Paul passion at Hoggy’s. President Obama recently made it clear that he thinks the federal government built that classic New England style, gray-shingled convenience store. Clearly, the Hoggyites eschew that notion with their energetic, currency-altering support for Ron Paul. But, the message feels somehow even stronger. It sounds like the small business person in rural Maine is telling the government to get the hell out of their lives, which is what Ron Paul stands for. The Hoggy’s of the world are what make this country great. The government should be listening.